Showing You How to Build an Online Empire on the Side. I had the awesome opportunity to have Cynthia Stine on our show. She is an expert on suspension prevention in the amazon world. It seemed rather timely to have her on in the light of everything that has happened with big brother Amazon lately. She is going to share how to protect your Amazon seller account from suspension as well as giving us top tips to get back if amazon has already suspended you. If you have questions for Cynthia feel free to comment below. What's up Online Empire Academy! I am Joshua Woodward, your podcast host. For those of you guys watching on Facebook, this is the first time we're trying this, we're really excited. For those of you on Youtube, hello, iTunes, what's up guys! For those of you who are listening maybe on a podcast platform, we wanted to let you guys know that there are videos; you guys can go check that out either on Facebook or on the Online Empire Academy on Youtube. I'm really excited. As most of you guys know, there's been a lot of suspensions lately, there's been some crazy stuff happening with Amazon and specifically around the region of UPC codes and so much changing with that. I thought it would be a good idea to have somebody on who's a professional in this field. Today, we have on Cynthia Stine and she is a reinstatement expert, everybody has referred her to me for this specific topic. I am so excited to have her on, how are you doing Cynthia? Great. I'm looking forward to talk to your audience. I'm excited to talk about this, it's so timely right now and something that's been super irritating for me especially loving you guys, loving this community and wanting to make sure everybody is doing everything they can to build as much income as they can. When I find out that somebody's account has been shut down, that's such a heartbreaking moment, I don't ever want that. Cynthia what is your story? How did you even get started in this? I was a business consultant for many years and over twenty five I … A long time and I actually started selling on Amazon in 2010 because I needed extra income which is why a lot of people do it. I had ten hours a week to do it. I had no time and this turned out to be the perfect business for somebody who had no time and I only needed about fifteen hundred a month, it wasn't like I was going to build an empire at the time; I just needed a little extra money. That's how I got started in 2010 and I had so many people say, “Well, how's that Amazon thing doing?” Also wanted me to talk about it that I wrote a book about it in 2011, came out early 2012 and that was my Make Thousands on Amazon in 10 Hours a Week. Because of that book, it all led one thing to another, I did a little of consulting. People would hire me and they'd say, “Hey, tell me why I'm not making money here?” Or, “Why isn't this product selling?” Stuff like that. In 2014, what happened was I started to get people who were suspended saying, “Can you get me reinstated?” I thought, “Well, I definitely will try.” I had not done it before but I just dived into it as a business consultant , I do understand a lot of … I can read a contract for example … I understand a lot of these things. I know how businesses get in trouble and I know how they get out. I used to do turn around work and I've got crisis communications. I applied those skills from my past life to this business and we learned a lot about Amazon and this process. Then in 2015, the spring is when Amazon had a huge change in their algorithm and it caught so many sellers by surprise and my business just exploded. Something that I thought I might do maybe once a month, twice a month; I didn't really think this was going to be a big deal. Doing reinstatement has far exceeded any expectations I ever had for making money on Amazon and it's been huge. I'm still a seller on Amazon, it's pretty small right now because all of my focus is on helping sellers get back to work basically. I wrote my book Suspension Prevention and I hired people and the story is today I have eight people in the US, sixteen in the Philippines and we're still growing. In fact we brought on three new people this week. It's just insane and I expect it to continue. Amazon has not done anything to stand the tide of suspensions and if anything else there's just new issues that keep coming up and coming up. My job is, I see myself as a seller advocate because I'm a seller too. My job is to try to educate sellers so that they can avoid getting suspended and stay ahead of it as much as possible. From just researching and following what you've been doing, for the listeners it's not just a reinstatement service, she is passionate about helping people stay away from those pitfalls. You just talked about that, so many people are out there going … Or making dumb decisions honestly. It comes down to how does Amazon want you to play on their platform? Just do that. I think that you have broken it down in such an easy way for people to understand in. We'll post links to your book but one of the things I want to talk about is what kinds of suspensions are you seeing? It varies. What happens is, it seems like every few weeks Amazon will tweak the algorithm or they'll go after something new. We'll get a wave of suspensions and all for the same reason. Right now for all of my supplement guys, most of them who are private label, they're getting their listing shutdown for Forskolin … Which I hope I said that right … All of a sudden, ten of them. I've heard several sellers who are getting shut down because they're buying from liquidators, the same liquidator actually and we're having issues with the product reviewer programs. Amazon is very serious about people who abuse the product review system that they have. In the past they've had three rounds where they've sued companies that provide these services then just a couple weeks ago, they sued sellers. This is the first time they've actually gone after sellers for abusing their platform. They're not just kicking them off, they're suing them. These guys I looked at the case, these were really egregious, there's no doubt that they: A, knew what they were doing and that B, It was way against terms of service. It's not a shades of grey thing whatsoever, this is very black and white but still to me what that indicates is they're serious and they're going to continue doing this. I'm always surprised at how many sellers we get in the door every month for abusing the reviewers program and I have yet to find one who is innocent. They're all guilty; I get them back on but they're not innocent. That just tells me that there's still a lot more education that needs to go on because really it's an awful reason to be suspended and you have to turn over all of your reviews to Amazon who will then take them down. Will you explain GS1 if you know how? I don't know how. Yes. Basically what this is, GS1 is a couple of things: It's a registration database and it's a place that you would get extensions. If you're a big company and you have lots of products, you might buy an extension on GS1 and maybe your extension is 12345. Every barcode out there that begins with 12345 is you. You may have hundreds of thousands of them, 12345678910 but it's the extensions that are filed in this database and that are assigned to an owner. Amazon has recently … This is why it started happening … They've recently found a way to automatically search the database and compare it to their catalog. Up until now, they were never really looking or trying to enforce the misuse of barcodes I guess or UPC codes. Here's the problem though, the GS1 is not necessarily kept up to date any more than any other database, all databases have old data. People who buy from Speedy Barcode or the dealer at eBay, they're usually not buying unique barcodes, they're buying … What's the word … Retired barcodes. Somebody may have owned them before but now they're not using them anymore, maybe the company is out of business, whatever. I went back into the available barcode pool if you like then Speedy Barcode sold it to you and you made a bundle with it or a multi-pack or whatever you did with it. The thing is Amazon is checking the GS1, it still shows that it's owned by the previous company because they have old data in there, they say, “Oh no, this company owns that barcode, not you.” It's like, “I own it.” What I tell my clients is if you have a private label product and you have already used a bunch of Speedy Barcodes and you've registered your brand, you've registered your listings, you've done all of that with Amazon, you should be fine because Amazon doesn't care about your listings, they know you created them, they know they're yours and your brand because you went through that whole brand registry process, that's not a problem. The problem is when like I said, maybe you created a bundle and put it out there and it wasn't your product, it was just something maybe … There's a company that does this, I see them all the time; they buy a lot of stuff from the world market and they'll put one product with another product, they buy these things retail arm and they put them up there. They brand it as their brand and they use their own unique UPC code. That company is about to run into problems because again the products that they're selling in the bundle they don't own those brands and they branded it as their own brand but if it's not in the GS1, which I'm almost certain it isn't because nobody buys from the GS1 unless they're big. If you're buying a hundred thousand barcodes, if you're buying one barcode from GS1, it's sixty five dollars, for the smaller seller … You can buy a hundred for a certain rate and whatever but it's not cheap. Really only a serious seller would buy from the GS1. I know that the database is riddled with Speedy Barcodes and we're going to be saying issues about this for some time to come. That's why the community is perturbed and upset and for every seller that they get off the platform who is doing it improperly, they're going to catch some innocent fish in the net too. That's what's so unfortunate about the algorithm. It's very impersonal and there's no nuance. It's a big net. What about the people who are maybe selling used or refurbished things on Amazon? What about them? There's been a couple of things going on with that lately. With refurb, actually it shouldn't be a problem because a refurb … If you're using the term correctly basically according to Amazon … A refurb is something that has been refurbished by the manufacturer and has a warranty. In that case there should be a unique listing for the refurb on the Amazon database and you should have no problem selling that product. If you're buying refurbed kitchen aid and selling it under the refurbed listing assuming you bought it from a legitimate source, you should be fine. The problem that is coming up with used media is particularly … This is what broke my heart because I started off selling books and media and I still have a lot of long tale stuff up there. What Amazon has started doing is they've been filing inauthentic claims and counterfeit against sellers who sell used media. I get it, I know why they're doing this because basically the criminals, the people who are selling counterfeit media or whatever, they realized that Amazon was only checking new. To be clever about it, they would list all of their product as used, used like new, used very good and they would put it out there and sell it. Amazon is trying to crack down on the criminals but here's the problem most of us buy our used media at estate sales, book sales, [inaudible 00:15:32] sales, it comes out of our own library and we sure as heck don't have receipts from five years ago when we bought it right? When Amazon says, “Okay, I need you to provide an invoice.” I got caught for a Carl Sagan book, Cosmos which I can guarantee you was not counterfeit and I've sold lots of them on Amazon; it's an old book that's why it still sells so well because I'm selling the original 1970s version. I had to shut down that listing, I can't sell anymore Cosmos. I also had to really think about it because you can't have too many inauthentics on your account or you get shut down. I'm trying to decide, I'm struggling with, “Do I get rid of my used media?” I've had clients who could not decide, they didn't have a choice, they have to get rid of it because they were suspended for it and you just can't afford another inauthentic after that. They had this huge database of books and Cds and games and things and they had to remove all of them. I think they're selling them on eBay but it's a real shock. I went back and forth with Amazon, we escalated this up the chain, I have colleagues who were able to reach out to actual humans at Amazon about this issue. I wrote a letter to Jeff Bezos and the answer came down to this, counterfeit is counterfeit. If they want you to provide a receipt or an invoice and you can't then tough. That is chilling like I said, I tell my people you might just try to sell what you have out and if you get one claim then just eBay the whole thing. You may be able to sell out what you have because they're not quite going after used inauthentic as vigorously as they are going after new; I don't know if that's good news or not but that's huge. Again that was a change that they brought to the community without telling us but they've obviously tweaked the algorithm for it. If I could have one wish, if the Amazon fairy godmother would give me my wish, it would be that Amazon would give us warning whenever they tweaked the algorithm. If they would just give sellers a week or two to clear out and to say, “Oh no, now we have to worry about this. Okay, let me” I think it would make sellers lives better but also they would probably make Amazon's life better because they wouldn't have to suspend and deal with all these issues, they could just give people enough time to clean up before hand; most of my clients they're good sellers. To that, I don't even know how … If Amazon told us every time something changed it would get so difficult but I'm there with you, at least give us something, at least give us some sort of notice. This past week I got an email from one of our viewers and she was asking about, she got this email from another company and they were saying, “Hey, you don't have the rights to sell on our listing, please get off. If not we're going to contact Amazon.” I got really mad because I'm sure that she bought it from a wholesaler or something like that. I'm asking her these questions and all that but I realized in that moment, I don't have all the information I need. This is one of the things I wanted to ask you about because I'm seeing this frequently that somebody is coming on and saying, “You can't be on our listing.” Being frankly a bully. She ended up contacting Amazon, Amazon said, “You're fine.” What would you say to the viewers who are in the same situation? I would say first of all it depends where the notice comes from; if the notice is coming through the buyer-seller messages and it's coming directly from the complainer, the bully and they're sending you a hostile, bristly message, they're powerless. They don't have any power over this. Only Amazon has power over this. You might wonder, “Are these people vindictive and petty enough to try and make trouble for me?” Possibly they are. That's the hard part because you don't know. That's usually an opening gambit that somebody will make because they know that one angry bristly letter may be enough to get some of their competition off the listing kind of thing. If they're serious and they have rights to protect like they're thinking of … If they think that you really have violated then they'll file it with Amazon and Amazon will then send you the bill, they'll suspend the listing and they'll send you an email that says, “You need to contact the rights holder.” At that point you do even if you don't care about the listing. I've had clients who were like, “I had two units left, I don't care I'm just going to close the listing, I don't want to deal with it.” Like, “Great, I get it that's okay.” You still have to atleast go through the motions of trying to resolve it with the rights holder. Amazon will give you an email and usually you can just say, “Hey, I've closed my listing, I'm not going to sell on it please let amazon know.” That will resolve ninety percent of the cases. There are other cases where you think … This I see a lot too where your like, “That guy is full of it. He is a bully and he's wrong; I have the right to sell this product. I bought it at whatever.” Or, “I am not violating his rights.” At that point usually we have our clients just ask the rights holder, “Can you please explain how you think that we violated your rights?” Just a nice open-ended question. Again if the company is legit, if they are in fact pursuing a claim that they believe to be true, they will work with you. I really do. I just want people to know who are playing games which I'm sure is nobody in this audience. Still Amazon does have a backup for that, people who do this as a tactic if you are up against one of my clients you are in trouble because I know how to get you kicked off and I will do it. I just wanted to say that, I've done that for my clients, I've helped them in the case where the rights holder would not work with them. Amazon expects you if you file the complaint that you're going to work with the other sellers, not to give up your rights but to speak to them about your complaint and if you don't do that then you're obviously just gaming the system. Let's flip the coin, you've created your own private label product. You may be fearing that your competition is trying to bring you down what are some ways that you can combat that with Amazon? It's really scary, the thing is though they can do the research and like I said I wouldn't get angry about it, I would just be polite, ask for help and tell them why you think there might be something going on then let [inaudible 00:26:28]. If there's something and they can detect it, they'll act and all of a sudden … I had this happen to me, I was attacked by a group of people and it was in October, a couple of years ago I guess. I knew immediately something was going on and their trick they were playing on me was changing the ASIN so that my product no longer matched the listing. They would go and they would change the picture from a black hippo … It was a stuffed animal … Black hippo to a white dog; big changes they were making on the platform and of course then people would buy my product that didn't match the picture and I was getting all these complaints, it was a really crappy trick. I pulled together my proof, I went looked at all the ancient changes I'd had for a year and what percentage I would get normally, blah, all these stuff. I could show that in October, it went like this; it was like a hockey puck straight up. The change in my normal metrics … I said, “Somebody is messing with me, I don't know who it is, I hope that you do.” I showed them my proof and the problem ended the next day. I have not had a problem since. It went, right back down to normal. Anyway I do recommend that, don't go crazy, misusing policy violation either because they frown on that. If you feel you have a case, build it as best as you can then just simply ask for help, they usually will. I have one last question and that is what are ways that us as sellers can start protecting ourselves now? Obviously the best way to protect yourself is to have an account that's as clean as possible. The fewer problems you have to begin with, the more lenient and the more leeway the give you if something new comes up. If they tweak the algorithm or change things … I'll just give you an example, I'll have clients that have a listing suspended then I'll have other clients that'll have their account suspended for the same thing. The difference is the ones who had their account suspended, they had already had some other issues going on with their account, maybe previously, maybe several things going on at the same time. Amazon, whatever their magic trigger point is, my client hit it, they shut their whole account down whereas this other client maybe it's just an ASIN and they just shut down a listing, same issue. That usually is a function of how clean your account is to begin with. I tell my clients and anybody else, “Go and look at your reports every week and look for potential problems that you can't see in your account, that's not on the dashboard.” You should always look at the dashboard and most of my clients are religious about that, they'll check it everyday. Then I don't have to tell people, “Go look at your dashboard.” You do need to look at your … In perfect orders … Your negative feedback of course, look at your buyer-seller messages for trigger words. It's not just dealing with whatever problem they've come to you with but if you see key words like: fake, counterfeit, physical sickness, somebody says, “Oh, it gave me a headache, it made me ill.” All of these are triggers. Things like that that might be a trigger, they say, “I know the product was new but it looked used.” Or, “It's not as described, I thought it was going to be this and it was that.” Or, “I got the wrong parts.” Whatever, those are all triggers. You want to look for that, every week have a look. Also all of your returns, if you're doing both merchant fulfilled and FBA, you have to look at two different reports. You want to look at the ones that returned your product for what I call a negative return which is a return that was for a non-normal reason, maybe it's inauthentic, not as described, used, sold as new. A normal return is, “It didn't fit, I didn't like the color, I changed my mind, it was a gift they I didn't want it.” Those are what we call normal retail returns but if they're saying that there's a problem with the product or defective [damaged 00:31:00], all of that. That's what I call a negative return and those are the ones you need to watch and if they're starting to build up on a particular listing, you have maybe one listing that's getting a lot of problems, you should shut that listing down. Find out why and fix it before you turn the listing back on. You've been getting a lot of damaged, maybe it's not being packaged well enough. If you're getting a lot of not as describe, maybe there's something wrong with the listing, maybe the listing doesn't match your product. Maybe you could have the problem that I did where somebody messed with it and now the picture or the description has changed since you listed your product, things like that. That's what I tell people, if you're actually just looking every week at those problems and dealing with them as they come up, it's like house keeping, you'll stay on top of it rather than have a big mess to clean up later. I know I said this a lot but I'm going to need to go back and listen to this because there's so much good knowledge within this. Community I hope you feel that, if you guys have questions for Cynthia please comment below, I'll make sure that she sees this. If you guys want to go check out her services, especially for those of you who are listening to this and may need to get reinstated, go to the onlineempireacademy.com/cynthia and again the onlineempireacademy.com/cynthia. All the links will be below. Also we'll post links to your book, you guys if you want to stay out of this rat race … It's so crazy … If you want to stay out of that, I would highly recommend her book and seriously Cynthia thank you so much for coming on and all the knowledge you give us. You're welcome, it's been great. I look forward to taking questions from your audience. Absolutely, again guys the onlineempireacademy/cynthia. Thank you so much for tuning in and we'll see you guys soon. 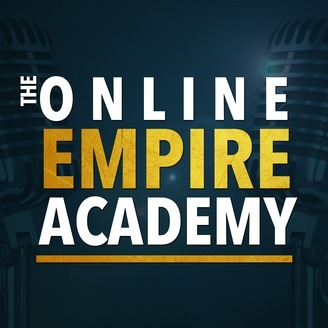 Thank you for listening to the Online Empire Academy Podcast. If you want real, actionable and proven entrepreneurial ideas you can use right now, join us for free at the onlineempireacademy.com. If you've enjoyed this podcast, help us make more by rating us on iTunes and Stitcher Radio, we'll see you next time. 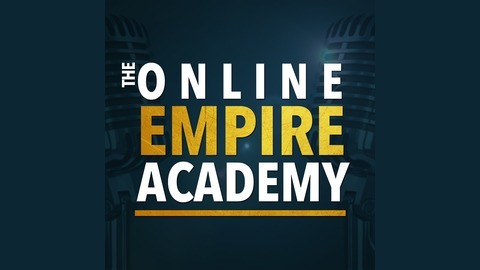 The post 131 OEA Podcast – Cynthia Stine Shares How to Protect Your Amazon Seller Account from Suspension appeared first on Online Empire Academy. 129 OEA Podcast – Has Amazon Become A Monopoly? Live With Joshua And Dean!